Jean-Pierre was born and raised in Paris, France. At the tender age of 14 he started working at this father’s “imprimerie” along with his older brothers. He was in charge of cleaning the presses; gradually his father gave him more and more responsibilities until he was able to run the presses on his own. By the age of 26 he was ready to part from Paris and came to the USA; he decided to settle in San Diego, Ca where he bought a small letterpress shop working only for the trade. Business was booming, so he decided to go into commercial printing. In 2007 he decided it was time to slow down a bit, and to let go of the bigger offset presses, but not his Heidelbergs. North Carolina seemed to be a perfect fit. 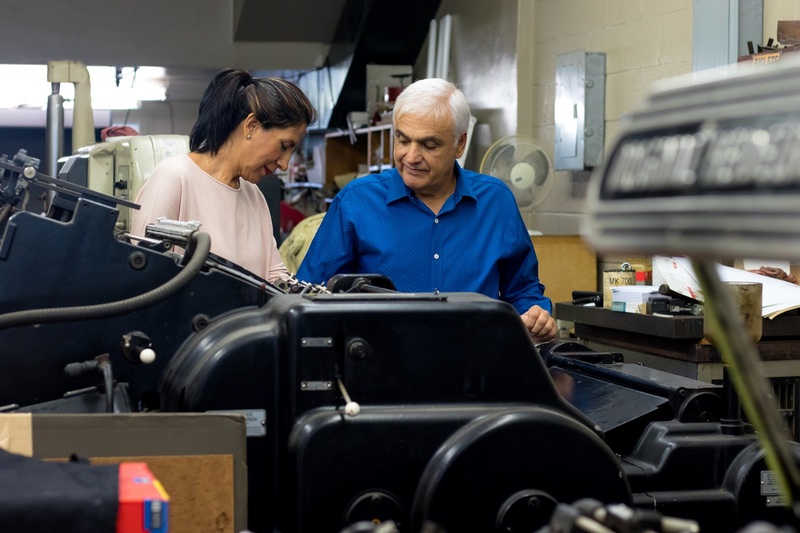 For more than five decades he still continues applying his skills in letterpress and offset printing, die cutting, and foil stamping. Vicky was born and raised in Tijuana, Mexico. She was 21 when she met her now husband Jean-Pierre, who happened to own a letterpress shop in San Diego, Ca. At that time, she was studying Graphic Design. The first time she saw his Heidelbergs she was impressed with the mechanic, synchronization, and precision of the equipment she used to go visit him and watch him run the Heidelberg presses for hours and hours. After a couple of months she was ready to run the presses. 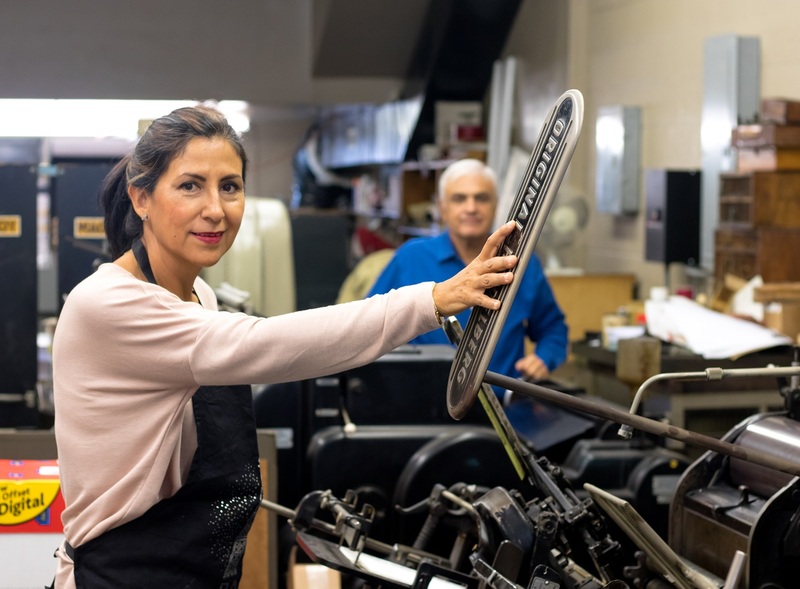 She started with some crash numbers and perforating forms, then die cutting and finally he taught her the process of foil stamping and embossing. She is happy to see so many women press operators who not only run the presses but also have the imagination to create beautiful work.